Start To Groove *YOUR* Perfect Golf Swing Right Now With The Upgrade Pack – and Save BIG For Today Only! Congratulations on making the great decision to get The Perfect Golf Swing program mailed to you. 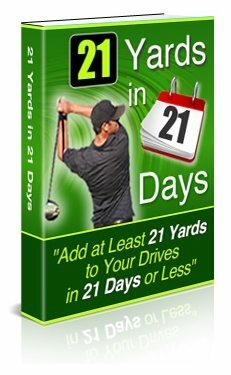 Because you’ve taken action today, you’re getting a one-time opportunity to upgrade your order to get instant access to the digital version of this program, along with the 21 yards in 21 days program and direct email access to me and my email coaching program, so you get the best and quickest results with the perfect golf swing method. The digital version of this program is selling right now for $57. (Click here to verify this if you’d like.) Naturally the attraction of the digital version is that you can start right now to improve your golf swing. You don’t have to wait. It will take 1-2 weeks for the program to arrive to you in the mail. But with this upgrade pack you can start right now, because you get instant access to everything in the program. 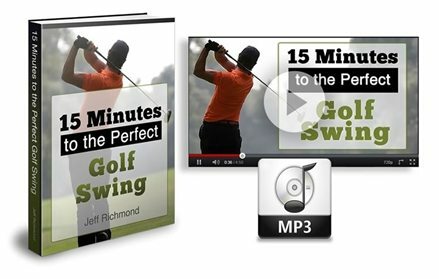 An 83 page book (PDF) that explains The Perfect Golf Swing method in full detail. 12 videos you can view online that help you to use The Perfect Golf Swing method. 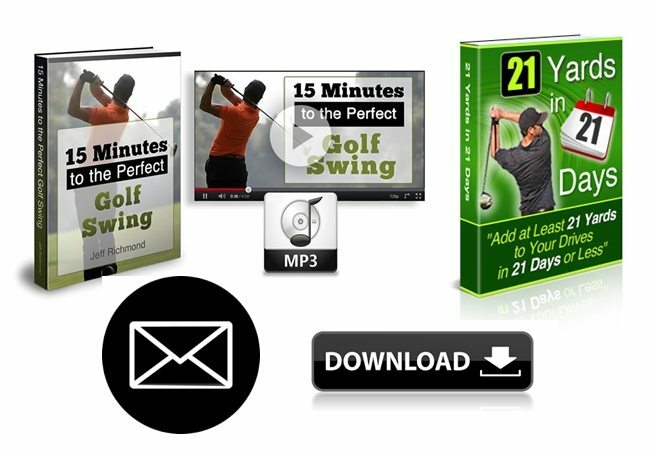 An mp3 audio you can download that guides you through The Perfect Golf Swing method. With this program you WILL add 21 Yards To Your Drives In 21 Days or less, and here’s how that’s going to happen. Every day of this new program you will get one new drill or exercise that WILL add AT LEAST 1 – 10 yards to your drives in just 15 minutes per day. So after just 21 days YOU WILL be hitting your drives AT LEAST 21 yards further than you are right now. This program is selling right now for $47. (click here to verify this if you’d like). But it’s yours FREE with this Perfect Golf Swing upgrade pack. Because of the high volume of emails I get everyday, I cannot answer everyone’s personal emails/questions about the program. However, if you would like to clarify something in the Perfect Golf Swing program or get some advice about your particular situation, you can take advantage of my personal email support with this upgrade pack. Plus, you will be emailed regular instructions on how to get the most out of the perfect golf swing method. After adding this option to your order, you’ll be provided with specific instructions on how to download everything, along with the email address where you can communicate with me personally, so you can move forward with the confidence of knowing you’re doing everything right. As you can see, everything above is a total combined value of $204. I really want you to experience the BEST and FASTEST swing improvement, and I’ve added this upgrade pack to help you do just that. to my order today for a one-time fee of only $27. No thanks. I understand this is my only opportunity to get access to this information and I’m okay with missing out, even at today’s HUGE discount. I understand that after declining this offer, the Perfect Golf Swing upgrade pack will never be made available to me again at this price.